The history of gaseous fuel, important for lighting, heating, and cooking purposes throughout most of the 19th century, and the first half of the 20th century, began with the development of analytical and pneumatic chemistry in the 18th century. 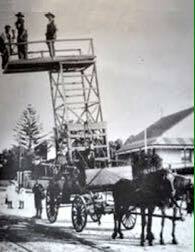 Port Elizabeth took advantage of these developments when on the 1st September 1862 the Port Elizabeth Gas Company was formed. Initially gas was to be used for lighting. At a meeting of the shareholders of the newly incorporated PEGC on this date, the Trust Deed was read and adopted. The first Chairman was Joseph Simpson and the Directors were John Miller, John Dickson, J.S. Kirkwood, A.J Macdonald, R.D. Buchanan and F.S. Fairbridge. 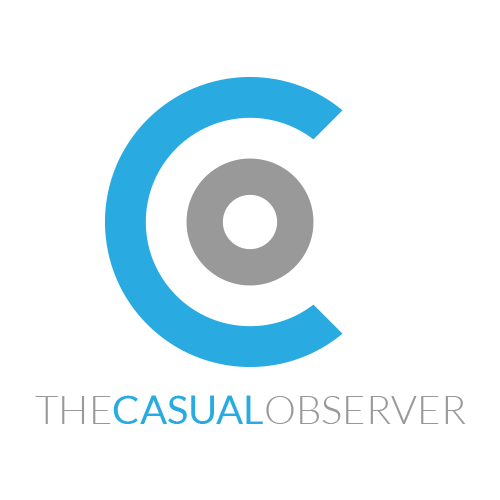 As most lacked any experience in the operation of a gas generation plant, they requested whether the manager of the Cape Town gasworks could provide advise on what was required to be done in setting up this plant. The company’s premises were located in Slater Street, North End. 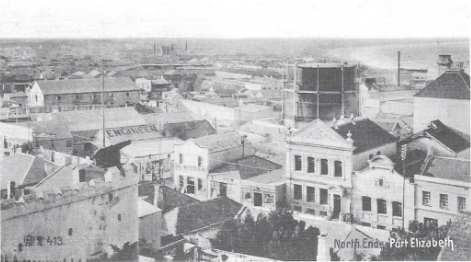 The main piece of equipment utilised was a huge circular container which was clearly visible from the Donkin Reserve. Finally in August 1865, gas was supplied to the Town Hall. This new-fangled contraption known as gas lighting was not only a solution to street lighting but also domestic lighting. Miss Isitt, the headmistress of the Collegiate School for Girls immediately perceived its benefits. She vigorously pushed for the replacement of the feeble guttering candles and oil-lamps with the new-fangled gas lights in 1874. Despite the elegance of this solution, this proposal was refused by the School Committee on the basis that the landlord would not pay any portion of the installation. Given the imminent expiry of the lease, the Committee were well advised to demand co-payment with Mrs Gubb, the owner of the house in Western Road in which the school was housed, for the gas lights. 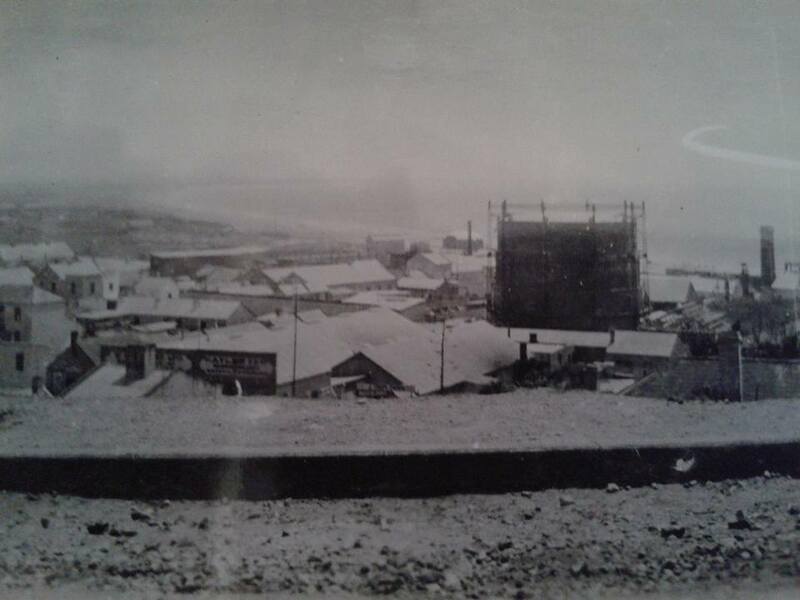 In January 1945, the Municipality took over the gasworks. They immediately investigated relocating the plant. To this end, a site in the Papenkuils River Valley was selected. Finally on 11th May 1955, the new carbonising and ancillary plant was opened by the Mayor, Louis Dubb. 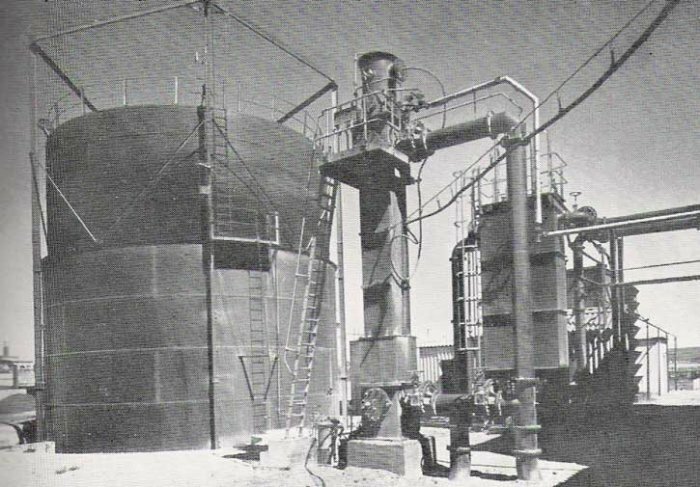 Further extensions were periodically made over the years until in 1988 the Council sild the plant to Easigas.